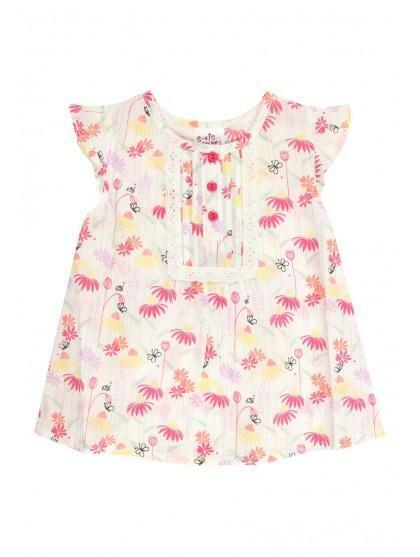 This younger girls' woven smock daisy top is beautiful for this season. 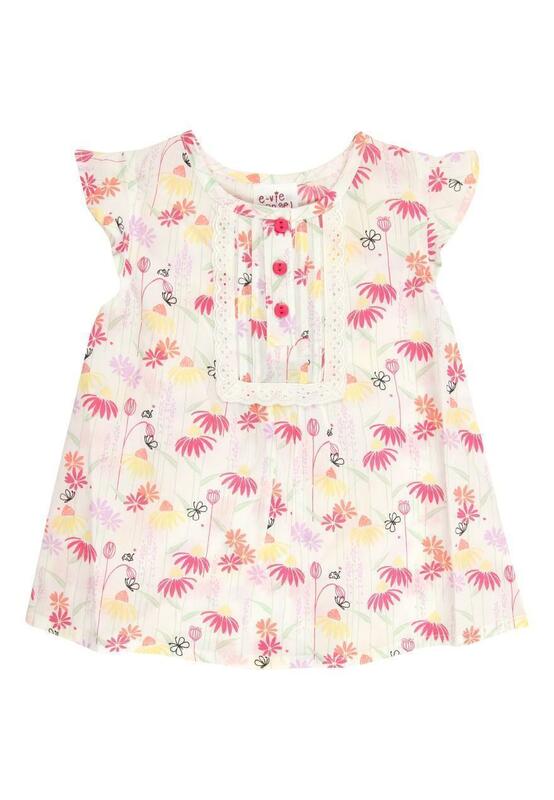 It features a pretty floral design, an embroidered bib front and frilly short sleeves. Pair with denim shorts or jeggings for a stylish outfit.